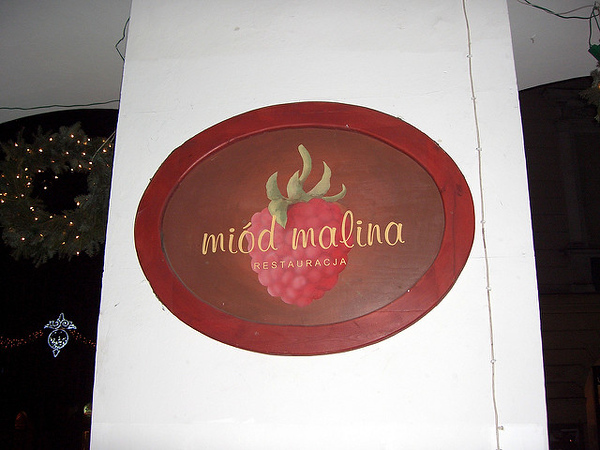 With standards far higher than the mid-priced menu would suggest, Miod Malina is a highly recommended Polish restaurant with excellent customer service. Located on Grodzka, Miod Malina is a very pretty Polish restaurant. The excellent dishes here include a fine roe deer loin and apple pancakes, alongside other Polish favourites, all well cooked and well priced. Meals are thoughtfully presented in a clean, contemporary style, and the service matches this attention, especially for such a busy restaurant. The standards are very high for the cost of eating here. Recommended.